Pioneers in the industry, we offer water storage tanks for agriculture from India. In line with clients' diverse requirements across the country, we are offering a commendable range of Water Storage Tanks for Agriculture which are used for storing domestic hot water that are used in hotels hospitals etc. This storage tank is checked by quality controllers on numerous parameters in order to ensure its excellence. Offered storage tank is precisely manufactured from the best quality material and latest techniques in adherence with the set norms of market. 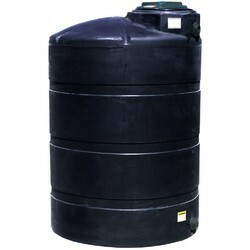 Looking for Water Storage Tanks for Agriculture ?